READ WHAT OUR CUSTOMERS HAVE TO SAY ABOUT THEIR NEW POOL & CLEANING SERVICES! As a new owner of a rental home in OBX, we were so lucky to receive a referral from our broker to use Caribbean Pools and Spas for our pool service. Little did we know that this is not your ordinary pool service. Elizabeth and her team are truly wonderful to deal with, providing us with helpful information about our property and keeping an eye on things. They are kind and friendly to our guests as well. We did a hot tub installation that was absolutely effortless on our part, thanks to Elizabeth who arranged everything from from the electrician to scheduling with our rental company. I highly recommend Caribbean to any OBX property owner, their service and value is outstanding! As a new homeowner in the Outer Banks, I was fortunate to connect with Caribbean Pools and Spas early in the home buying process. Through the purchase of my home and my first season of rentals, Elizabeth and team served as valuable resource for everything, from pool repair and maintenance to finding great contractors in OBX. Everyone on their team went beyond just being a pool vendor, and acted as a great business partner, demonstrating a genuine interest in the success of my vacation rental home and the comfort of my guests. From first timers to experienced OBX home owners, I highly recommend Caribbean Pools and Spas. As a partial owner of multiple homes on the outer banks I wanted to drop you a note to thank you for all you do. It is so nice to have one contact to handle the pool and spa needs for the homes in Corolla or down in Duck. Over the last several years you have always handled issues as they came up and kept me aware of potential problems that may need to be addressed. It is also obvious that your employees have been well trained not just in the mechanics of pool maintenance and repair but also how to deal with people. Any time that I or any of my renters have had interaction with your people they have always been very professional and respectful. Thank you for allowing my renters to have a great time in our pools and for me not having to worry about the pools and spas!! As we entered the world of home ownership on the Outer Banks after many years of being a renter, there were many things to learn. One of those being all that goes into making your home a place for renters to enjoy. Caribbean Pools & Spas has been a very important part in that process. Elizabeth & her crew have been amazing at keeping us updated on all care of the pool, spa & deck area. The peace of mind that comes with having a company you feel a total trust in is priceless. Pete and Elizabeth, Once again we are confirmed in our decision to have hired your company for our beach home pool and spa needs. Your personal commitment and caring for our property is exemplary. Thank you so very much for going the extra mile again and again. Your anticipation of Hurricane Sandy and your proactive approach to assist us is yet another example of your dedication to the properties and the owners. We are very grateful to have found you and are thankful for all that you have done and continue to do for us. Please let us know if we have any damage, as we are sure you will do so. Elizabeth, My name is Keith Hoback, and I was the renter in the house Paradise Island last week (your problem child pool). I just wanted to thank you again for doing such a wonderful job getting that pool in such a good shape in a short period of time. it really helped make our vacation that much better. I also talked with Bill Smallwood, and said the same thing to him about how you handled his pool. Again, if there is anything I can do to help promote your business, feel free to use me as a reference. Hi. I have been using Caribbean Pool/Spa for the last two+ years now and couldn’t be happier about my decision to switch to them for my rental house. They are very honest and give me no bull about what needs to be done or what it will cost, which was all I really wanted. On top of that, Elizabeth has been one of my “Go to people” for advice about the OBX and people to trust in the area for my rental needs. I have only written a handful of testimonials and will only do so for the really great companies I work with. I thank them for all the help they have given me. Caribbean Pools had done a fantastic job of keeping our pool up and our costs down for the season. Periodic updates are a very welcome feature as well. I would certainly recommend Caribbean Pools to any homeowner. Elizabeth/Pete, Since purchasing our Kill Devil Hills ocean front home we are on our fourth pool company. I’m fairly demanding and have always expected prompt, detailed and fair pricing from all contractors (pool, lawn care, electrical, AC, Management Company, etc…) that assist us in taking care of our property. Elizabeth and Pete approached us for two years regarding taking over our property in regards to the pool. After firing the third company (all three were referred to us) I decided to go with Caribbean Pools. WHAT A RELIEF! The prompt service, timeliness, attention to detail and down to earth personalities that we have received from Caribbean Pools, specifically Elizabeth, has been amazing! The pool worries have disappeared! Elizabeth/Caribbean Pools are not only the best pool vendor on the OBX; Elizabeth has become the “watch dog” of our home. Living 5 hours from the OBX, and needing someone to assist us, Elizabeth/Caribbean Pools are our pool vendor for the long term and we HIGHLY recommend them. Hi Elizabeth: We have gotten to know Elizabeth because she goes above and beyond any other Pool Supervisor. We appreciate her attention to detail and her helpful attitude. Caribbean Pools is the most reliable pool company we have found. Hi Elizabeth, I want to thank you and your crew for the most hassle free season I can remember. We get great praise from our tenants about your wonderful and cheerful service. Many have met you personally and say you are a delight. The pool and spa have been given the highest ratings. They rave about the crystal blue water in the pool and the great time they have in the hot tub. What a difference a year makes. Last year at this time we were getting over Hurricane Irene. You and your expert staff took on a monumental job of getting between 8 to 10 inches of sand that had blown into our pool and within days had it back to pristine conditions. Our renters, when allowed to enter the island, never knew what we all saw immediately after the storm. They and all the other guests last fall just enjoyed their vacation. Thank you and your staff for all you do. Elizabeth and Pete, My wife and I have been so impressed with the quality and service provided by Elizabeth and Pete that we have no doubt about renewing our contract every year. They are always timely with cleaning and repairs! They always contact us if there is any issue that we should know about. They usually answer the phone when we call them. If we have to leave a VM, they always call us back immediately! Their customer service is the best I have ever seen! Dear Elizabeth, I want you to know that working with Caribbean Pools, and you especially, has been an outstanding experience for the three years that we have been a customer. Not only do you and your staff do an outstanding job, you have always exceeded my expectations and then some. You really make it easy to keep our pool systems up and running. We love partnering with you! Thank you very much. Hi Elizabeth-Just a short note to let you and Pete know how pleased I have been with the service Caribbean Pool has provided over the last two years. Every issue, and there were but a few, were dealt with immediately and without question or hassle. In a number of instances you surpassed my expectations. Please feel free to use me as a reference with potential clients. I look forward to working with you in the coming years. Thanks for all you do. Living 700 hundred miles away I must be sure my pool is opened on the date required & closed in a timely manner after season. And what goes on in between through Elizabeth & staff is a pristine pool for all my guests to enjoy. The comments registered in the guest book verifies what I already know that the pool is ready to go week after week. I don’t give it another thought. Thank you for another stress free season. We have been using Caribbean Pools and Spas for several years now and are very happy with the services they have given us. If we are away for some time they will check out the property and keep us posted if anything needs our attention. They are a very nice and loving company I consider them friends and highly recommend them. We also use them for landscaping services and they do wonderful work. Elizabeth, I would like to thank you and your staff for the great job maintaining my swimming pool located in the Village at Nags Head this rental season. Caribbean Pool’s service came as a welcome relief after trying to convince another pool maintenance company to understand that the proper maintenance and cleanliness of my swimming pool directly reflects on the impression that my guests have on the entire property. There were no guest complaints about the swimming pool this past year nor did my local property caretaker have any complaints when he made his Saturday change over inspection of the property behind the rental company and the various other service vendors. Your regular updates kept me advised of any issues that your staff noticed and corrected which gave me the assurance that my guests were enjoying clean and safe swimming conditions. Again, thank you and I am looking forward to working with you and your staff again for each rental season. I highly recommend Caribbean Pools to anyone that wants to get worry free quality service for themselves and guests. My house was built in 2008 and I have had 2 pool maintenance companies before I was introduced to Elizabeth and her company. The other companies were okay, but Elizabeth and Caribbean Pool and Spas go the “extra mile” to maintain the pool and hot tub and at the same time keep the owner and renter happy. I have confidence in Elizabeth and feel that anything she suggests is something that is needed. If I ever have questions about anything she will meet with me at my convenience. Elizabeth and Pete take great pride in the pools and hot tubs that they maintain as well as the surrounding area. Dear Elizabeth, Just a note to thank you for all the help in repairing our Hot Tub. It is a beautiful hot tub and a great addition to the house. Walter and I really enjoy it. You really were great to work with in getting it repaired. We know it was not a simple repair that was needed, but so far the new motor has been the answer. Thanks again for all the personal service and hopefully, we will get a chance to meet you in person soon. Elizabeth and Caribbean Pools & Spas staff, This is a simple note to say thank you for the excellent service and customer support provided by you and your staff at Caribbean Pools & Spas. Your company has shown repeatedly that you’re willing to go the extra mile to meet and exceed our expectations. It’s very clear that Caribbean Pools & Spas has implemented a professional business model to provide a comfort level for homeowners and a level of customer service that results in a great experience for our guests. Pete and Elizabeth Kelly, as well as their entire team are simply outstanding at handing all aspects of our pool, spa and landscaping concerns. Our pool had “issues” (to put it mildly) and Elizabeth and the team did not quit until they got every last issue resolved. We appreciate the professional and courteous staff and never have to worry about our pool, spa or landscaping. If there is a problem, we are notified in a very timely manner with either an appropriate action plan or notice that the situation has already been handled. This is one vendor that truly is a pleasure to work with and I sincerely appreciate all of their efforts. 2010 began with the purchase of our first beach house in Seascapes, Kitty Hawk, NC. I thought living five hours would make it tough to maintain a pool on and off season. This proved to be incorrect. I spoke with several pool maintenance companies and ultimately choose Pete and Elizabeth Kelly at Caribbean Pools and Spas. They designed their services around our needs and provided us with great service this year. They also advised me when something was wrong such as weeds in the courtyard or guests drinking from glass containers on the pool deck. They assisted with storm prep at no extra cost, which is very rare on the Outer Banks, When something broke, they notified me promptly and it was usually fixed the next day avoiding guest complaints. We have been very pleased with their services and would highly recommend them. Caribbean Pool & Spa’s staff are all prompt, friendly, knowledgeable and professional. We’ve been quite pleased with our weekly pool cleaning and reassured by their installation experience which means that normal system maintenance tasks are part of their expertise. No worries, friendly consultation and peace of mind are part of their reliable service. This was our first season as off-site homeowners in Nags Head, and Caribbean did an amazing job keeping our pool and hot tub in great working order and looking beautiful all summer. They were knowledgeable, dedicated, and low-profile with our renters, one of whom commented ”Pool was super! Hello Elizabeth Now that the swim season is over, we wanted to thank you for the excellent pool service provided to us at our house in Southern Shores by Caribbean Pools and Spas this year. The opening of our new pool was prompt and thorough, as was our weekly service and the pool’s closing. Your pool technicians were most helpful with occasional advice to new pool owners. And the pool was a special treat this year as the unusually hot weather and rough surf often made the ocean a hard choice. We’ll see you next year. I met Elizabeth last May during a repair ordeal with my pool repair company and builder/slash supervisor. Elizabeth was trying to find tiles to fix the side of the pool. After a few days I realized she had nothing to gain by helping. She was helping because she was asked to. I staring chatting with her and started to get the sense that she really cared about her clients. I decided that minute to change companies and have never been sorry. Caribbean Pools has been so worth it. Shortly after I hired the Kelly’s to service our pool, disaster happened and the whole pool was cloudy. They worked tirelessly over the next few weeks to finally clear up the problem even so far as to encourage the renters feel that they were trying very hard to resolve the issue. All summer they have kept in close touch with me. Update via e-mails come in when they need to ask a question. When hurricane warnings went up this summer, guess who took care of the house without asking, you guessed it, the Kelly’s. I have always felt like my business was very important to them. Elizabeth told me when I choose her company she would not disappoint, you guessed it again, they didn’t. Thank you and your crew for taking of everything not only so quickly but more importantly so professionally – I feel like part of the family and will definitely see you soon (I’ll let you know when the open house is in advance. Rest assured I will be a great advocate and “salesperson” for Caribbean! Elizabeth – Caribbean Pools & Spas: First of all I want to thank you and your staff in working to make the 2010 Pool Season memorable. Your service personnel have addressed all inquiries and provided service at a high level, from start-up operations in May 2010, and through after-start-up maintenance issues with the salt system, etc. Bunny & I have appreciated your friendly comments during the summer and assistance when needed. As you are aware, we are in the process of putting an addition on our home, and we greatly appreciate your assistance and support in working with our contractor, Seth Johnson, in making required changes involving the pool heater, pump and companion equipment. Bunny & I are extremely pleased with your support and beyond. 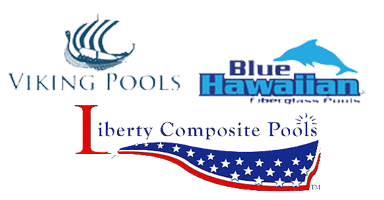 Hi Elizabeth, Thank you, Pete and your staff for the wonderful, problem free rental season we have had this year with both pool and hot tub. It meant a lot to have you both come out to our home to meet us prior to the beginning of our rental season. Your quick response to the problems we were having with the hot tub got us up and running before the first rental came in. It is a pleasure dealing with people who “say what they do and do what they say”! We look forward to another rental year with Caribbean Pools and no calls from our rental company with pool/hot tub complaints from renters. Your service is only outdone by your very competitive pricing. Suggestions for improvement for the rental season: warmed towels with wine and cheese served poolside??? ” I would highly recommend Caribbean Pools, if you want crystal clear water all summer long “. Dear Pete: I just want to thank you and your team for the extraordinary service you provided me over the July 4th weekend. I arrived at our beach house on Wednesday before July 4th, which was on Sunday, only to find our 14 year old Hot Tub was hopelessly broken. I visited a couple of Hot Tub vendors and got quotes and finally ended up at your location on Friday. I explained my situation to your receptionist and told her I had to make a decision that day in order to get this repaired before my next rental. She immediately called Elizabeth who arrived in 5 minutes and started telling me my options. Before I could drive back home to Duck, you had already gone to my house and evaluated what it would take to remove my Hot Tub from the second deck, backside of the house, and install a new one. You explained that, I should consider repairing the Hot Tub; however, if I really wanted a new one, you could arrange a crane and deliver it, and install it on Tuesday. You could have done it Monday; however, Sunday was July 4th and no crane company was working on Monday. Despite promises by other vendors, I decided to go with Caribbean and install a new California Spa. You contacted me several times over the weekend, the Crane Company came and evaluated the job, and your team showed up right when you said they would on Tuesday. It was an extremely difficult installation, craning my old Hot Tub out and craning in my new Hot Tub in through an 88 inch clearance with an 84 inch Hot Tub. You did a great job! After it was all said and done, I really preferred the Grey frame over the smoke frame and you even came back and switched that out. I really did not expect this; however, you were insistent, that I get what I wanted. Pete, my family and I love the Hot Tub, and the work you and your VERY professional team did at our home! Please do not hesitate to have anyone contact me for a reference concerning the quality of your work, and the integrity of your company. Sincerely; Leon Frazier Washington, D.C. In the Fall of last year (2014) we decided to research installing a pool for our Outer Banks home that we purchased in June. Our realtor recommended Caribbean Pools & Spas so we gave them a call and set up a time to meet at the house to examine the area. Pete Kelly met us at the house and spent a significant amount of time discussing various options for a pool especially given our limited yard space. He was extremely helpful not only about installing the pool but educating us on what we needed to know to own one including the benefits to our rental property. Thanks in large part to the valuable information Pete provided us we made the decision to move forward with installing a pool for our home. This project was more than just a pool, it included some excavation work, fencing and a Trellis. We obtained proposals from three different companies to complete our pool project including Caribbean Pools & Spas in late September. It was important to us to get the project completed before the end of the year and the start of the colder weather. Hands down Caribbean Pools & Spas was our top choice due to their knowledge, customer service and attention to details. Pete gave us some great suggestions including an idea to install the fencing in a way that made the yard appear much larger and provided some shaded area enclosed under the carport of the home. Since we were unable to be at the house while the project was being completed, because we live a distance away, it was extremely important to us to work with someone who would have our best interest in mind and provide updates on a regular basis. Pete handled all the details of the entire project including approvals, permits and excavation work. He communicated with us regularly during the entire project, answered all of our questions and sent us pictures as the job progressed. We felt that the project and our home was in good hands, so we never had to worry things were not being completed to our satisfaction. In fact we became friends with Pete during the entire process of installing our pool and the finished product looks fantastic. We now have our annual maintenance for the pool and our hot tub with Caribbean Pools & Spas and look forward to continuing to work with them in the future. 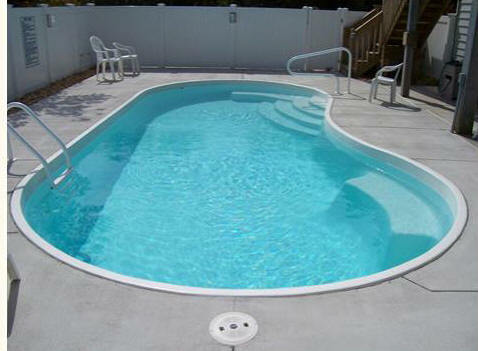 We highly recommend Caribbean Pools & Spas for the installation of a new pool for your home. We are writing you to say thank you for the great job you did in helping to plan and install our pool. Your team exceeded our expectations and our new pool is awesome! As novices when it comes to owning a pool, we found that we could always rely on you to help answer all of our questions, including the somewhat crazy ones. Your patience and knowledge truly helped make the process much easier than we expected. We really appreciate how much great advice you gave us to make sure that we made informed decisions both for our enjoyment and for the people who will rent our beach house. We would never have been this happy if you had not guided us so well. We also really appreciate the fact you always respond immediately and provide great customer service by being so incredibly responsive. Well done to you and your team! We are completely thrilled with our new pool! Thank you so much! Please feel free to have any potential clients call or email us for a recommendation. We would recommend you guys to anyone! Dear Pete and Elizabeth Kelly…….It’s interesting that so many of the testimonials we have read about your pool installation company have taken the words right out of our mouths. We have been fortunate to not only have read about your great service and installation work, but we’ve had a chance to see your work and speak with your customers before launching into our own pool installation. 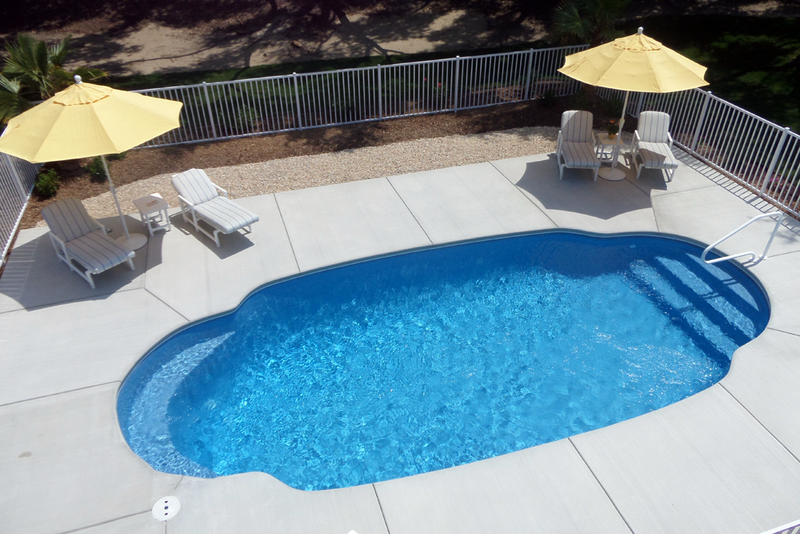 We shopped around, and found other companies in the Nags Head area that were even a little less expensive than your quote…..but we are so very glad that we went with our instincts about you and your pool company. Not only were you responsive to our questions, but you were honest with your answers and did everything to give us the utmost value for our investment. As with any well thought out project, there will be unanticipated challenges that will crop up. That was true with our installation as well. What really impressed me was your willingness to correct the problems and share in the costs of the remedies. Never have I experienced this type of personal attention to every aspect of the work, including that done by your subcontractors. In the end, we got a really beautiful pool and deck, plus a really good investment that we will enjoy for years to come. Thank you both for exceeding our high expectations! “I have vacationed on the OBX for over 60 years, and finally bought our dream cottage on the ocean in Southern Shores in 1998, a relatively small, old-fashioned, cozy cottage, compared to other mega-mansions on the beach, but perfect for our family. As an ocean lover, and with grown children, my husband and I had not thought about adding a pool. I had heard that a pool would improve rentals, and at higher rates, but our rental history had been good (we are on the beach and as dog lovers we allow pets), so we kept putting off the discussion. Two factors turned the tide, so to speak: the arrival of our grandchildren, and the red jellyfish invasion on the beach. At that point I began interviewing pool construction companies in earnest. I wanted to integrate the pool design with the style of the cottage, and landscape to create a natural environment. Other pool companies trotted out their standard concrete pool package for rental cottages, but only Caribbean Pools was able to capture my design vision, improve on it, and then implement it. The construction was on time, on budget, and the personal attention to service was stellar. Progress pictures were emailed to us at regular intervals, with updates. And the impact on rentals has been amazing. We were never fully booked in April and May in the past, but this year we have been booked solid, and now there is barely time available to reserve for our own use, even on the shoulder months! But most importantly, we have enjoyed the pool with our little ones, not only on days when the ocean was too rough or too cold, but every day at some point during the day, for swim lessons and relaxed play. Caribbean Pools did an excellent job, and we are so pleased with their personal service that we are continuing to use them for all of our pool and hot tub maintenance.